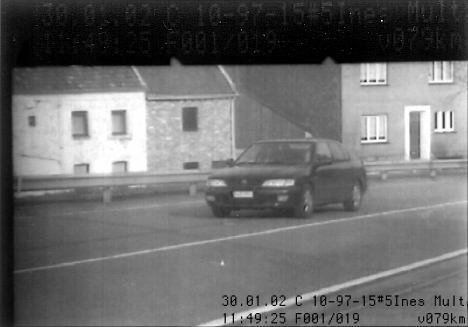 After 10 years of driving and 250,000 km (160,000 miles) I got caught by a speed cam (speed trap). 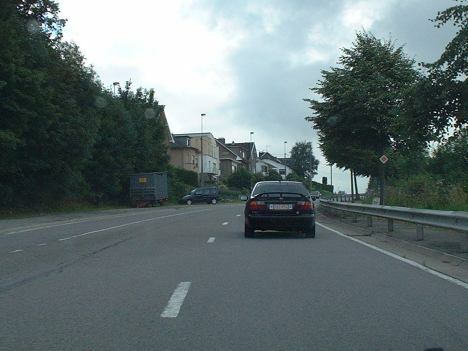 The police sent the picture indicating a speed of 79 km/h in a 50 zone (50.6 mph instead of 32 mph). I'm not sure if I was actually driving the car as on the same day, the car was at the Nissan garage for its regular service. It took me a couple of months, a lot of phone calls and the same amount of letters to get the photo. I didn't really believe that I had been driving my Primera on that given time and date. 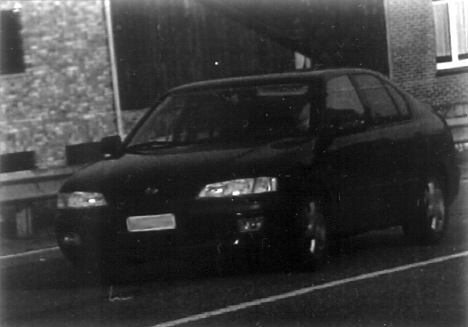 As you can see, the speed cam pictures are pretty dark and it's almost impossible to recognize the driver. Ordering the speed trap picture cost €1.50. However I guess the district attorney's office made a loss on it. After I had told them that I wanted to see the picture in order to identify the driver, they sent me a remittance form. I transferred €1.50 to their account as requested. Soon afterwards, I received another letter saying that the speed cam photo had arrived. I gave them a call to tell them that I couldn't come to their office because I was going on a holiday. So they offered to send the photo by mail. It arrived a few weeks later (the stamp for that letter cost €1.00). In the end, the final speeding ticket cost €174. Doh! 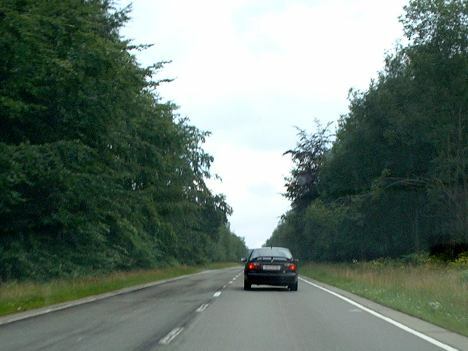 Do you have a speeding story to tell? Or maybe you have a photo you want to send for posting on this site, then please use the feedback page to get in touch with me. 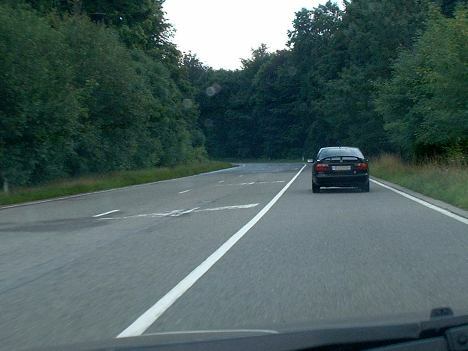 This picture was taking a few months later by my dad who followed my car. It's the same road where the speed trap was located. Do you like the tail of my car? Here's a picture of me driving home.